Thanks Jenny, for the nice comment and the l/f/v on my work! 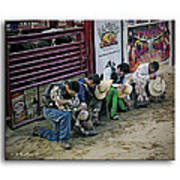 2D image of Bull Riders in prayer before riding in an event at Cancun Cantina, in Hanover, Maryland. 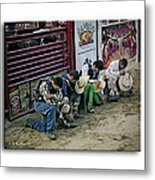 I have another version with the Bull Riders Prayer text embedded in the image. If you prefer that version, please look in my art next to this image. 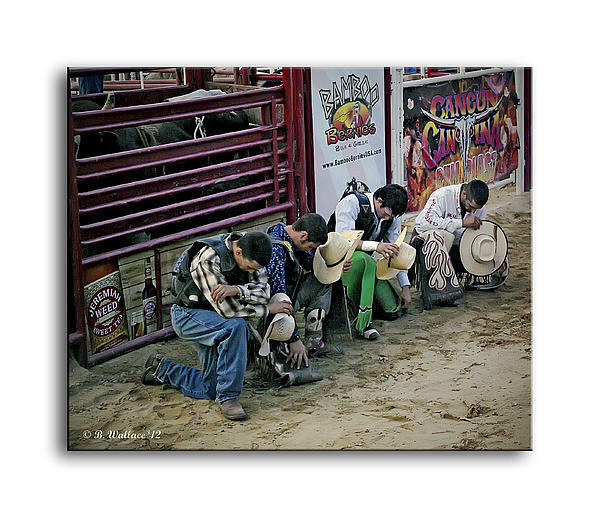 The Bull Rider's Prayer... As I live the Cowboy Way, Protection is what I pray, I don't know my Fate, Outside of the gate. 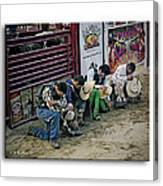 If my ride sees trouble, Send Angels on the double, For in you the Lord I rest, Let my life pass your test. By pure grace I am saved, Lord, ride with me, That's the Cowboy Way, And what bull riders pray.